The American Association of Orthdontics (AAO) suggests that all children get an orthodontic check-up no later than age seven. At Moore Orthdontics, we treat each child that walks through the doors as if they were our own by providing them the best possible orthodontic care and options. At your complimentary consultation Dr. Moore will evaluate your child's growth and progress to assess whether orthodontic treatment is suggested, and if so, the best time in their growth pattern to start to obtain the optimal result. This is also the ideal time time to spot issues with abnormal jaw growth or erupting permanent teeth. Although early treatment is not necessary in all children, it is important in some cases in order to prevent or intercept more serious problems from developing. Early treatment can help guide growth and create space for the permanent teeth to come in, often times avoiding the need for permanent tooth extraction or to simplify and enhance treatment after all permanent teeth are in. Early treatment may allow for results that may not be possible once the growth of the face and jaw have been completed. Dr. Moore's examination of your child may often show that orthodontic treatment is not needed at the current time, however the growth and development of the permanent teeth should be monitored regularly. Our recommendation is to schedule a follow-up visit several months in the future to monitor development. The observation recall program is offered free of charge to ensure that Dr. Moore finds the optimal time to begin to ensure the best results possible for your child. 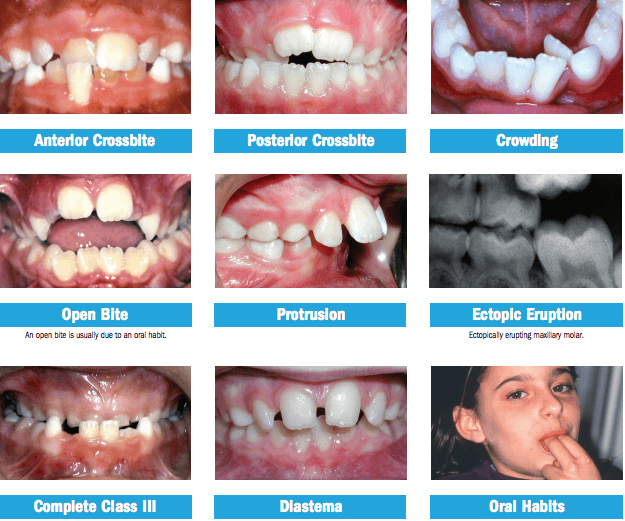 The most common time to begin orthodontic treatment is in adolescence. By this time, most of the permanent teeth have erupted and the facial bones are almost fully formed. Adolescence is a great time to start orthodontic treatment to help reduce self-consciousness about the appearance of their teeth. Crowded, crooked, or spaced teeth might be keeping them from feeling comfortable when smiling, speaking, or laughing. Moore Orthodontics offers a variety of treatment options that can help them achieve a lifetime of confident, beautiful, and healthy smiles. At your complimentary consultation, Dr. Moore can review several solutions that will work for them and you.